The current study focusses on ultrasound guided Brachial Plexus Block (BPB) which plays an important role in patients with hand trauma either in pain control or for surgical intervention. The brachial plexus can be blocked by several techniques but the most commonly used are the Supraclavicular (SCB) and Axillary (AXB) blocks. 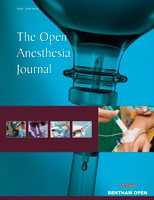 To compare the two techniques with regards to the performance time, needling time, anesthesia-related time, block-related complications, number of needle pass and block related pain. After approval of the ethical committee and obtaining a written informed consent from patients, this prospective, randomized, interventional double-blinded study was done to patients undergoing emergency crushed hand surgery. 80 patients were allocated randomly into two equal groups. Under ultrasound guidance, the SCB and AXB were done for the two groups, respectively. The needling time, performance time, anesthesia-related time, onset time, number of 1st needle pass in each group and block related complications were noted. Data were analysed using the Statistical Package for Social Science (IBM SPSS) version 23 SPSS. Longer needling, performance, anesthesia-related time in the AXB group than SCB and less complications have occurred with AXB than SCB group. Axillary block of brachial plexus is a good alternative to Supraclavicular block in emergency crushed hand surgery and the choice is made according to the requirement of each case. Keywords: Axillary brachial plexus, Supraclavicular Blocks (SCB), Axillary Blocks (AXB), Statistical Package for Social Science (IBM SPSS), Anesthesia-related time, Hand trauma. © 2018 Hussien and Ibrahim.